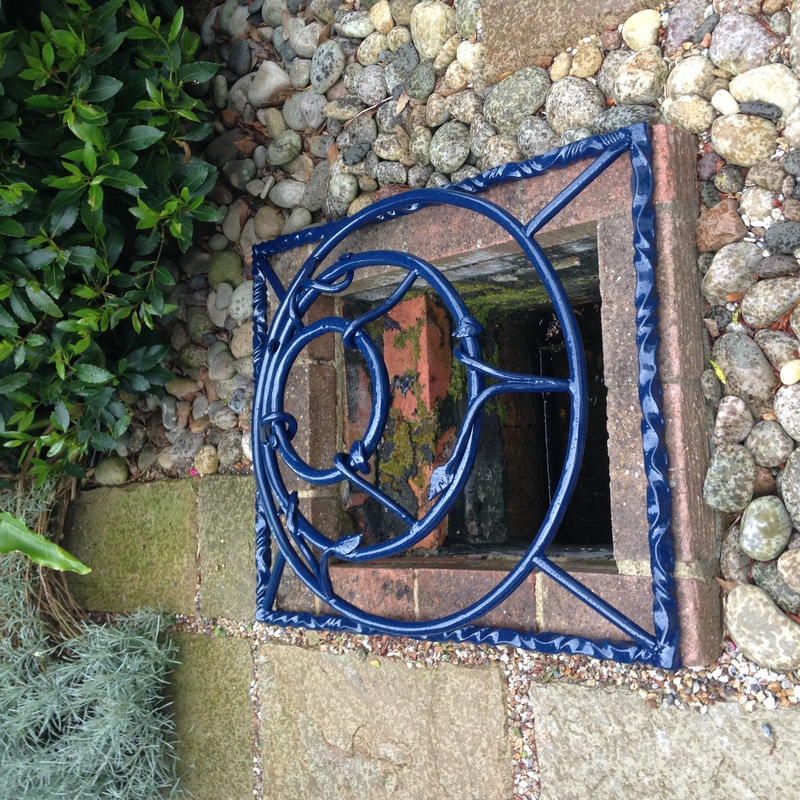 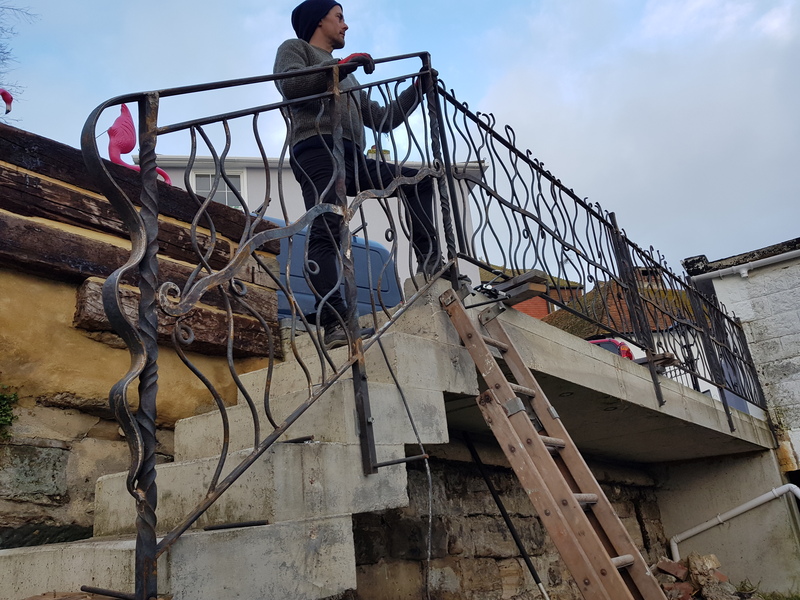 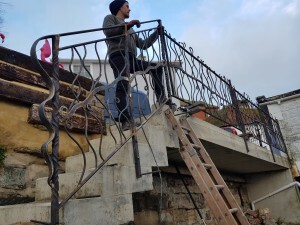 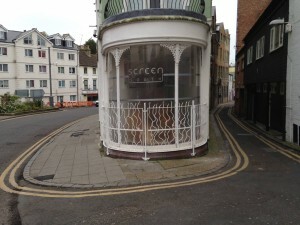 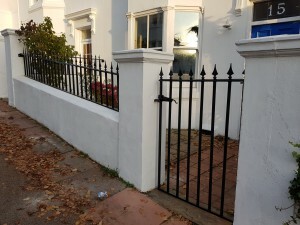 We’ve just test fitted this 8 metre stretch of water themed railings at a lovely property in Hastings Old Town. 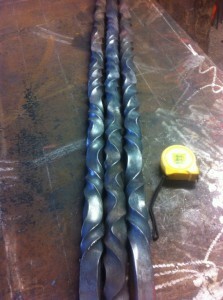 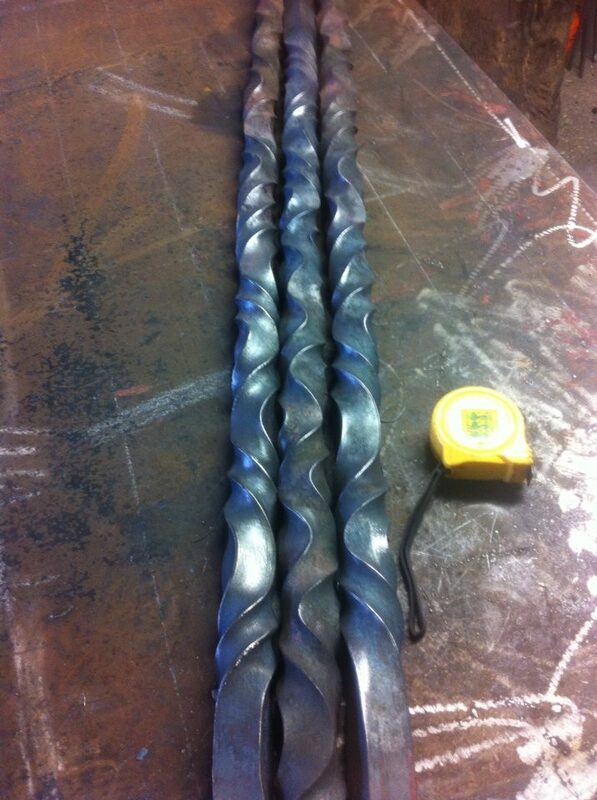 They are now off to the finishers to be shot blast, zinc sprayed and powder coated with a chrome looking finish. 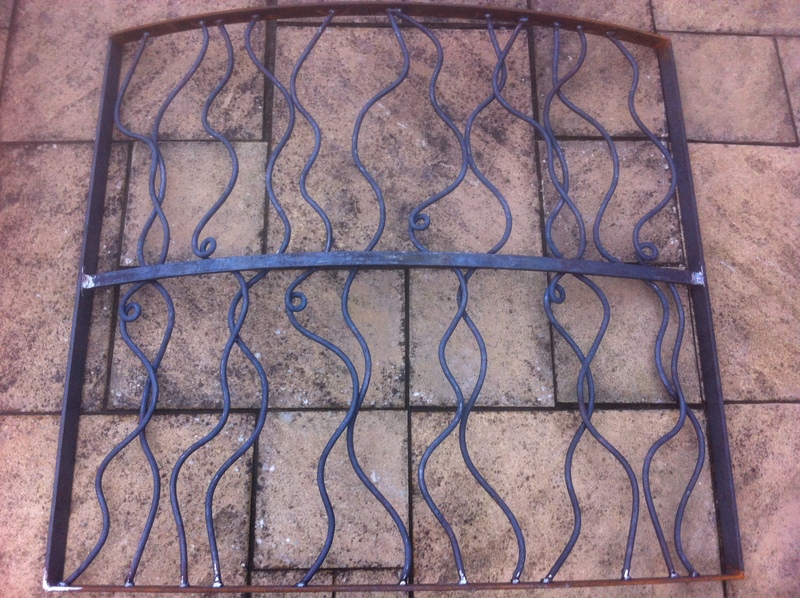 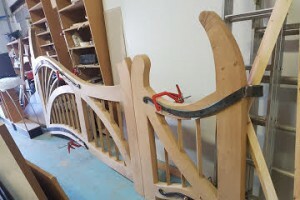 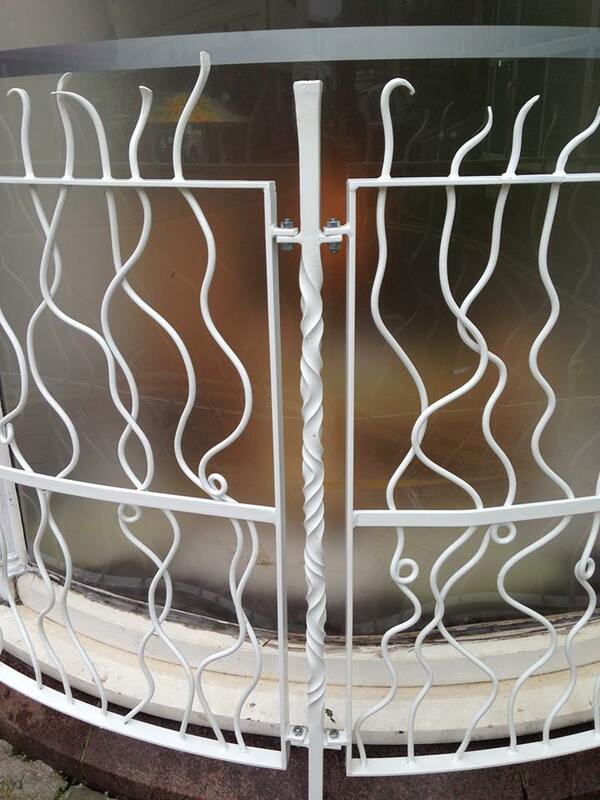 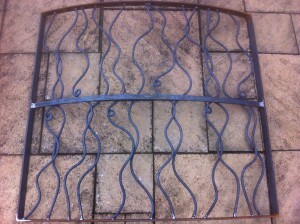 The challenge I took on with this pair of new gates was both practical and artistic. 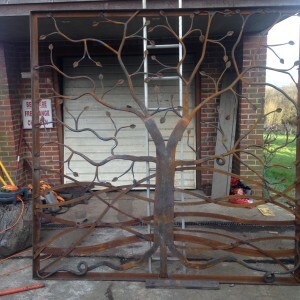 The client wanted something artistic that would also serve as a functional barrier to shut out the outside world. 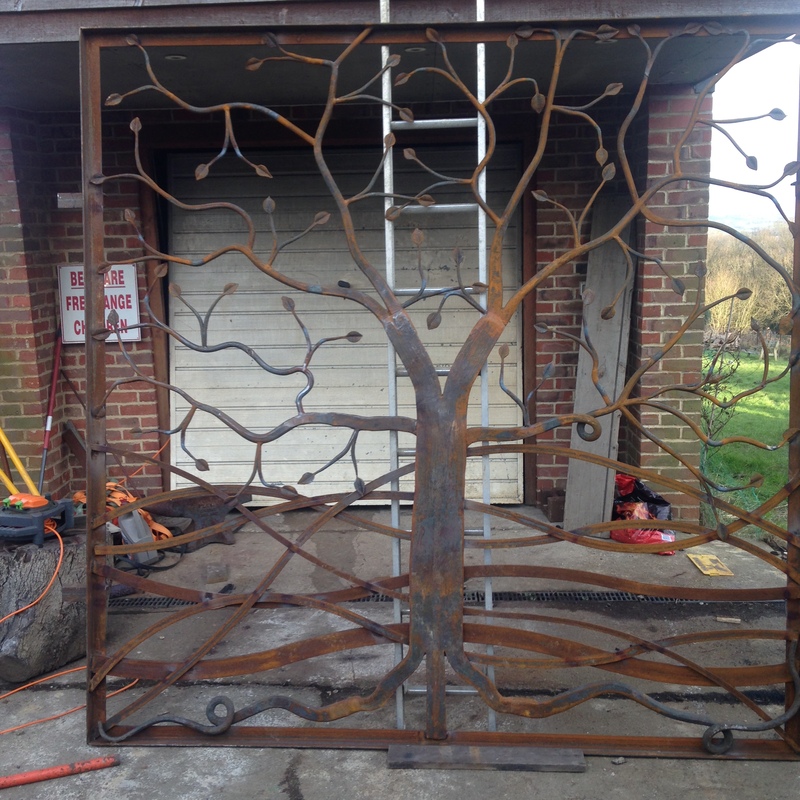 These new gates, with barely a foot of straight steel within them look quite striking outside our forge on the Rye Road just outside Hastings. 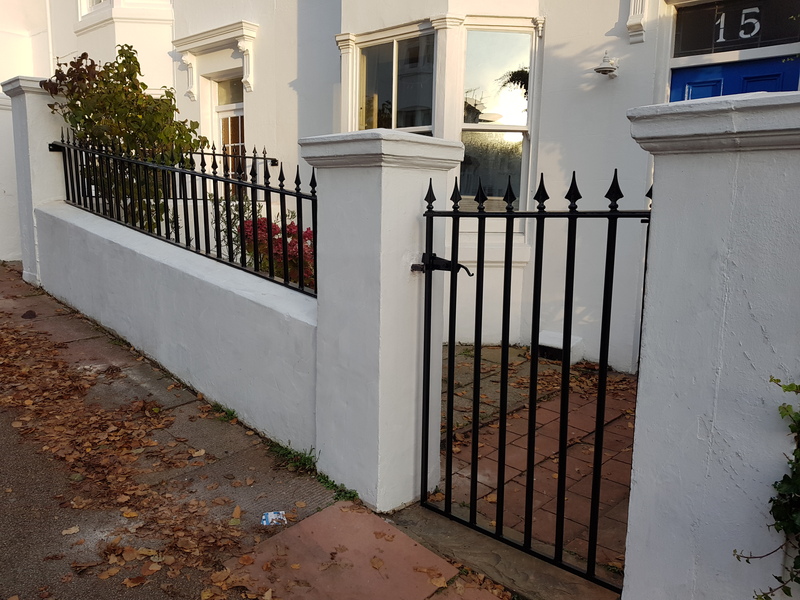 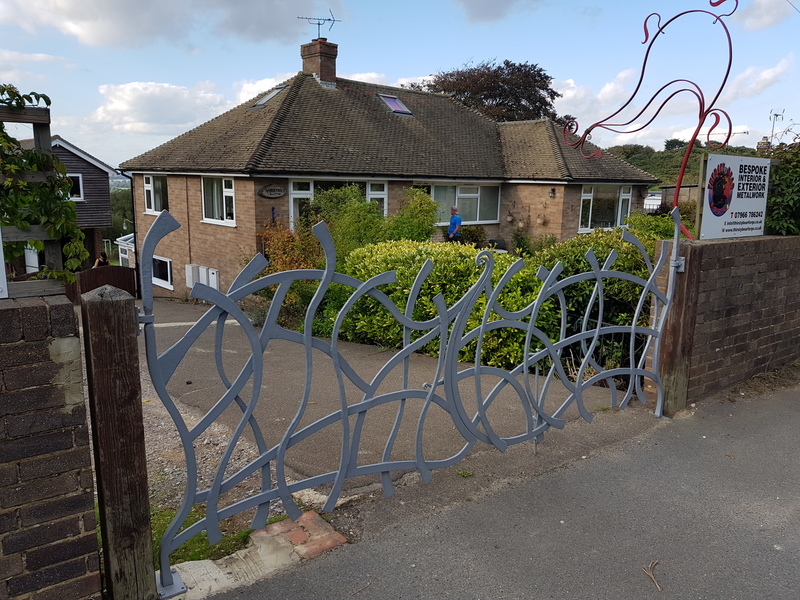 They are finished with a matt grey powder coating and fitted and incorporate a traditional gate journal and pivot within a very contemporary gate design. 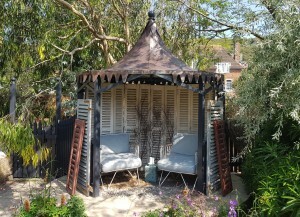 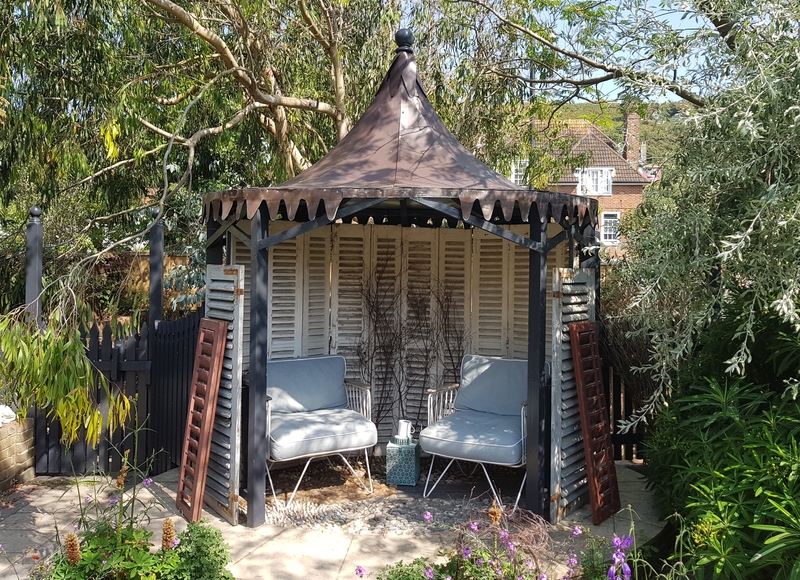 I don’t often work with sheet metal as it’s more of a tinsmith’s job, but when I was asked if I could cover the concave roof of this elliptical pergola in Hastings I couldn’t resist the challenge. 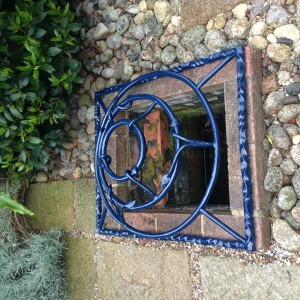 I’m as pleased with the result as the client. 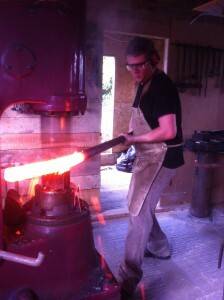 A new bench by Thirsty Bear Forge blacksmith Jake Bowers will be unveiled tomorrow in Hastings’ Alexandra Park by the mayor and the local Quaker’s who commissioned it. 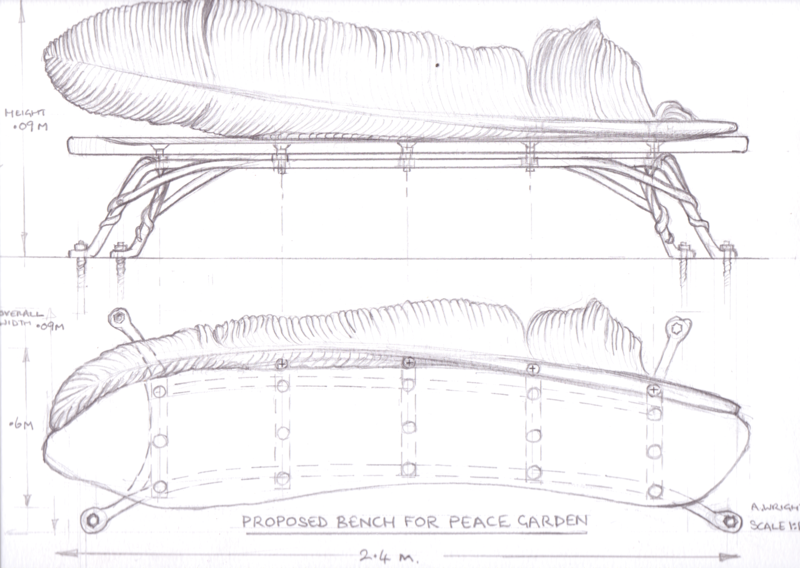 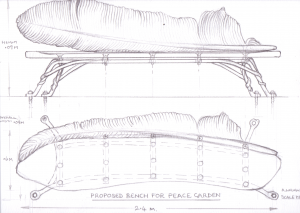 Designed by craftsman Alan Wright and Jake Bowers, the bench was commissioned to commemorate the World War One in it’s centenary year. 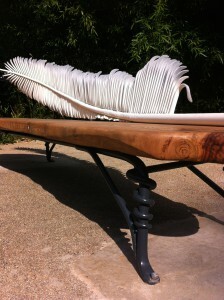 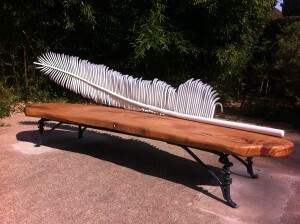 After three weeks of forging a very strong base to support the seasoned chestnut base, a three meter spine and over 100 individually shaped fronds, the bench was sent for zinc spraying and powder coating. 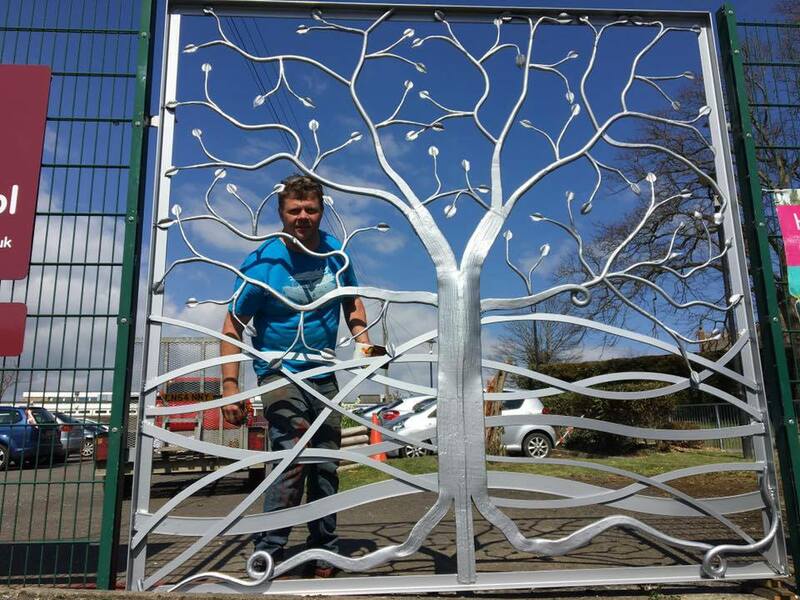 It was installed on Friday, but will be unveiled tomorrow at a ceremony to promote world peace organised by local quakers. 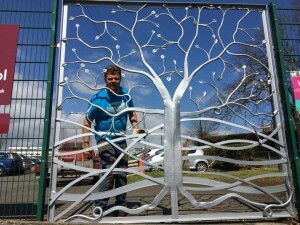 But here’s a sneak preview of a piece of work we are very proud to have made.